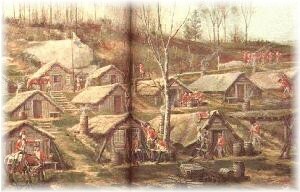 The above painting, taken from the American Heritage Book of the American Revolution, is based upon excavations of a large British camp which was located near present-day 204th Street in New York. Click the image to display a larger version in another browser window. 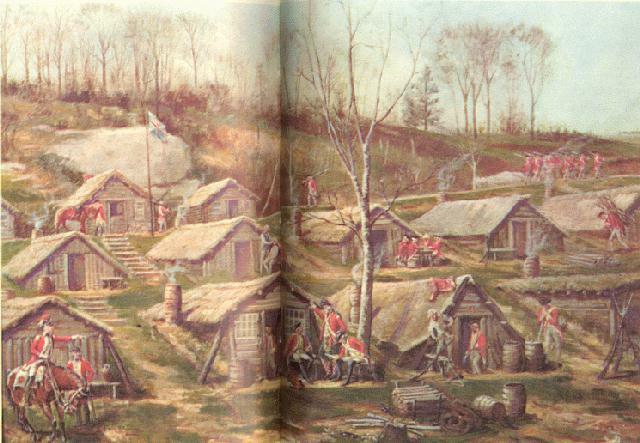 This fascinating reconstruction of a British camp on Manhattan Island would be very similar to the LAR encampment at nearby Bloomingdale, circa 1777-1778.